Gin lovers urged to show "Ginerosoty of Spirit" as world's first social enterprise gin launched. An Edinburgh distillery is urging gin lovers to show some “ginerosity of spirit” and buy the world’s first social enterprise gin. 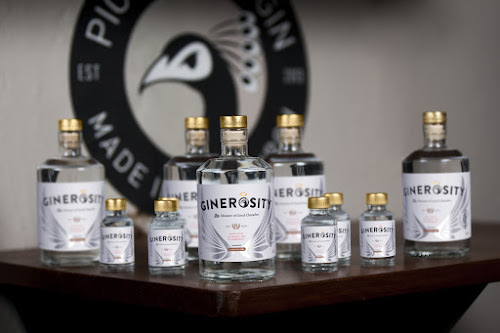 Pickering’s Gin founders Marcus Pickering and Matt Gammell have teamed up with social enterprise experts to produce the Ginerosity spirit, the profits of which will be poured into good causes. Together they have formed a new company, Good Spirits (Scotland) CIC, in partnership with social enterprise entrepreneur Chris Thewlis, Dave Mullen of marketing agency Story, and drinks industry and export specialist David Moore. 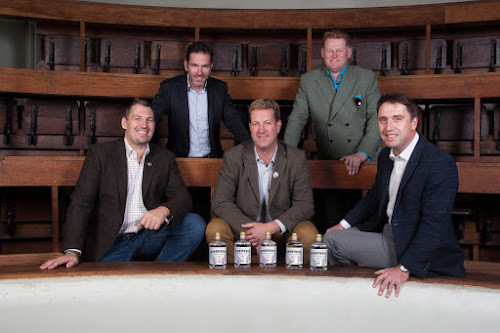 The team of philanthropists launched the gin at Pickering’s distillery in Edinburgh’s Summerhall. The new company said it would invest profits from sales of Ginerosity into projects that will help and support under-privileged or disadvantaged young people. Ginerosity will be available in bars, good off licences and online. Mr Gammell said the gin recipe itself had been developed to be both accessible but complex, and had made using responsibly sourced botanicals, while the brand and look had been developed by Dave Mullen and his creative team at Story. He added: “In the creation of Ginerosity we wanted to produce a gin that was both traditional in style while being smooth and refreshing as a gin and tonic. We have taken a range of 10 botanicals from the traditional juniper, lemon, lime and Angelica to the more unusual lemon myrtle and heather to create a superb gin of real character, which combines fresh citrus flavours with a gentle modern twist." The new company said its profits would go towards enabling young people to develop life skills that would help them find work and build a stable, positive future. The social enterprise is now recruiting an independent panel whose members would decide on the direction of the funding. Mr Thewlis, who also runs the social enterprise bar group Beer for Good, said: “Ginerosity is a perfect example of a social enterprise being used to help the community, and shows how a private business, a brilliant idea and some big-hearted individuals can come together and make a meaningful difference to people’s lives. “Social enterprise is all about profit share for good, and I'm especially delighted that we're going to be using this business model for a bespoke gin. We're not asking anyone to make a sacrifice - this is a bloody great gin! - we're just asking people to buy Ginerosity so they can make a positive difference to the public good from the profits made. "